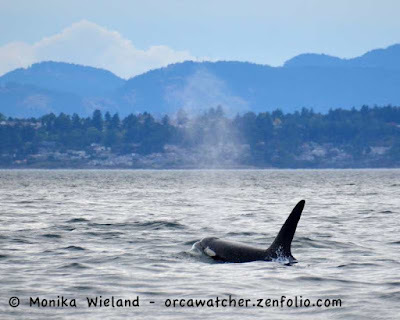 In September it's not unusual for all three pods to be traveling together, but in early September I ended up only encountering K-Pod whales for a couple of days. 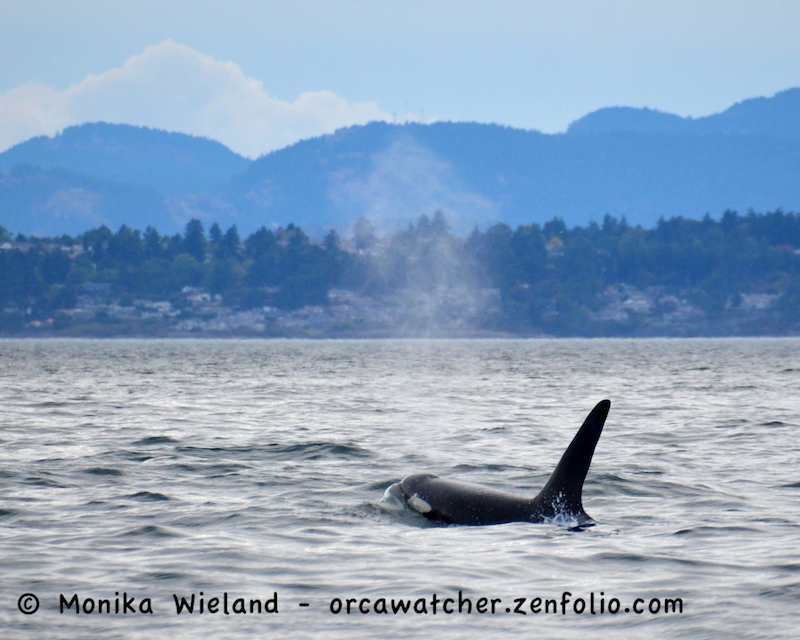 On September 4th the K13s and K14s went north on their own, and I saw them off Kellett Bluffs. 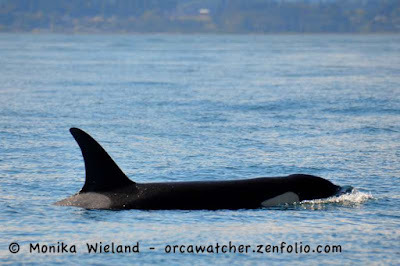 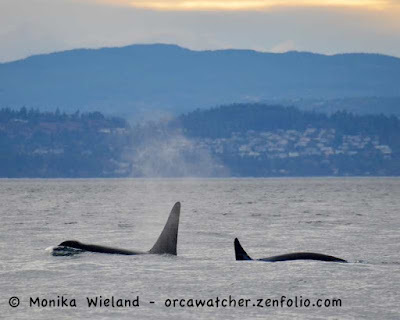 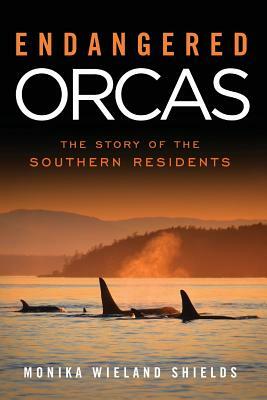 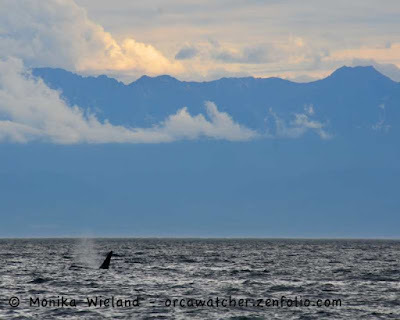 On September 5th the K12s and some L-Pod whales were off the south end of San Juan Island. 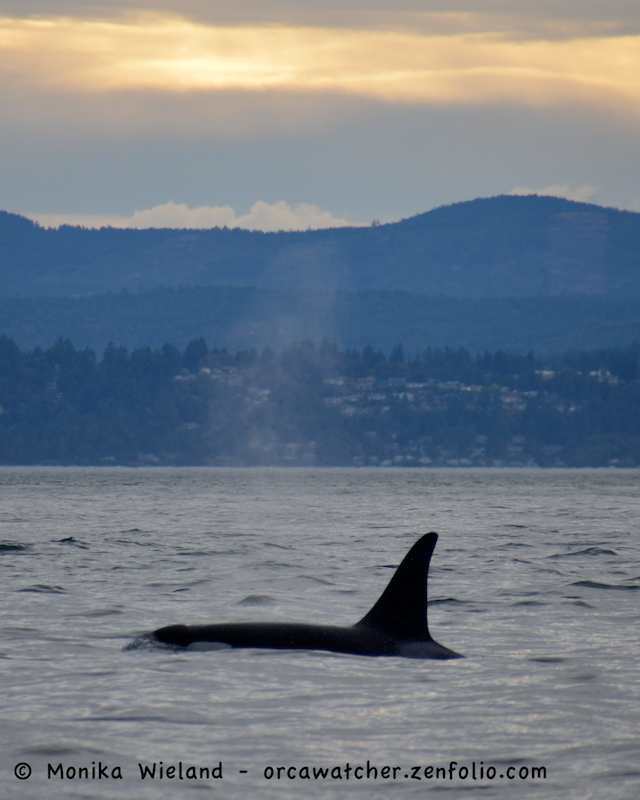 In the morning the K12s went north and met the K13s and K14s coming back down. I saw them all head back south in Haro Strait near sunset. 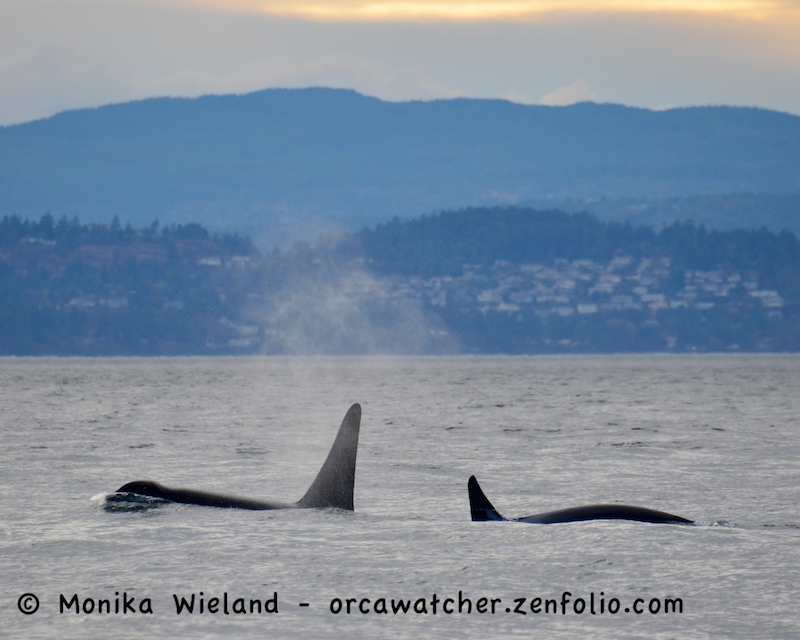 After an especially warm and dry summer, we've had an abrupt change to more winter-like weather here in the San Juans. It's been an adjustment, but it's made for amazing lighting on almost a daily basis.